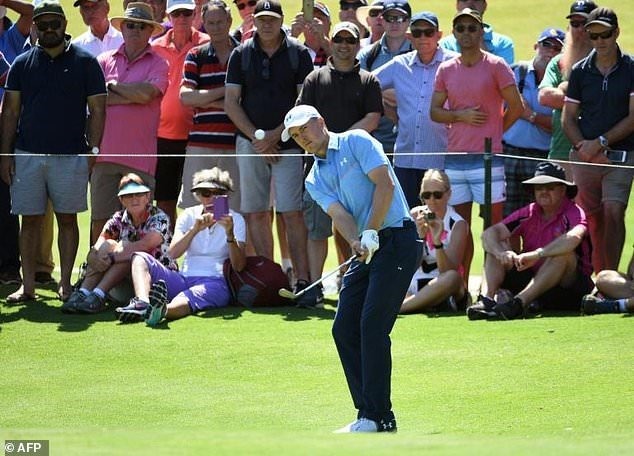 SYDNEY — Jordan Spieth birdied his final hole for the second day in a row to salvage some hope of defending his Australian Open title after struggling through the second round on Friday. Blaming "rust" after taking an extended break since the Presidents Cup, the world number two battled his way to an even-par 71 to reach the halfway stage at one-under par 141. Hoping to capitalise on the benign morning conditions after playing his opening round in gusting winds on Thursday, Spieth only managed two birdies in his second round. But he was still optimistic about his prospects of catching the leaders at the weekend after draining a long birdie putt on his final hole. "On this golf course, more than just about any that we play, I feel like you can make up more ground and come from behind," Spieth said. "The golf course will start to bake out and you get really calm conditions in the morning that leave the windier conditions for the afternoon. "I’ll have a pretty gettable golf course I imagine in the morning tomorrow with the guys really having to watch themselves in the afternoon and if I can post something like five, six-under, then I’m very much in this tournament." With the first-round leader Cameron Davis still to tee off and stronger breezes forecast for the afternoon, Lucas Herbert snatched the clubhouse lead with a superb second round of 66. Herbert followed up his first-day 67 with six birdies to reach the halfway stage at nine-under 133, five clear of Matt Jones, the 2015 Australian Open champion. Former world number one Jason Day, who opened with a 66, was among the late starters at the Australian Golf Club in suburban Sydney. Spieth is chasing his third Australian Open title in four years but the three-time major winner arrived without having played since October 1, the final day of the Presidents Cup where USA beat the International Team to retain the trophy. The 24-year-old is also missing his regular caddie Michael Greller, who remained home after the recent birth of his son, but Spieth said his game was slowly starting to come together. "Typically, it requires a lot of reps to be at the highest level it can be at. I’ll get them, I’m not sure how quickly," he said.